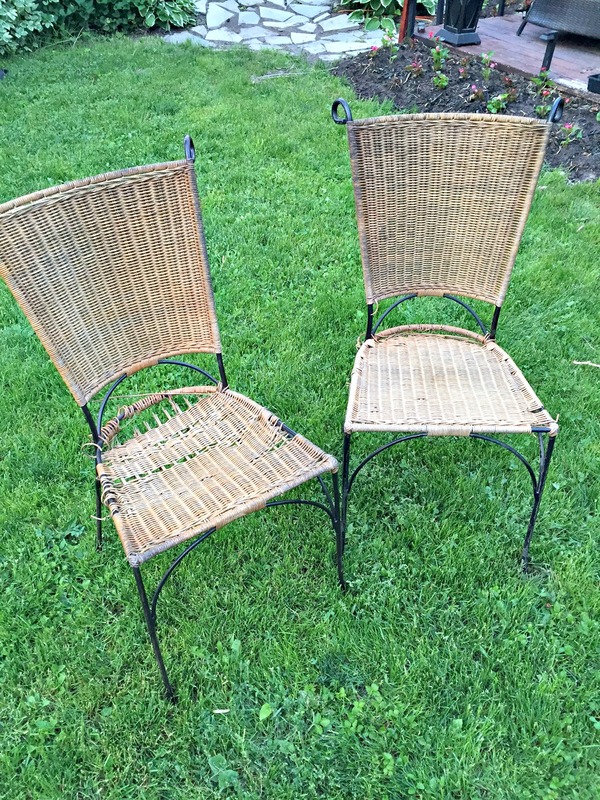 When I saw these wicker and wrought iron chairs on the side of the road, I knew they had the potential to become something really cool. 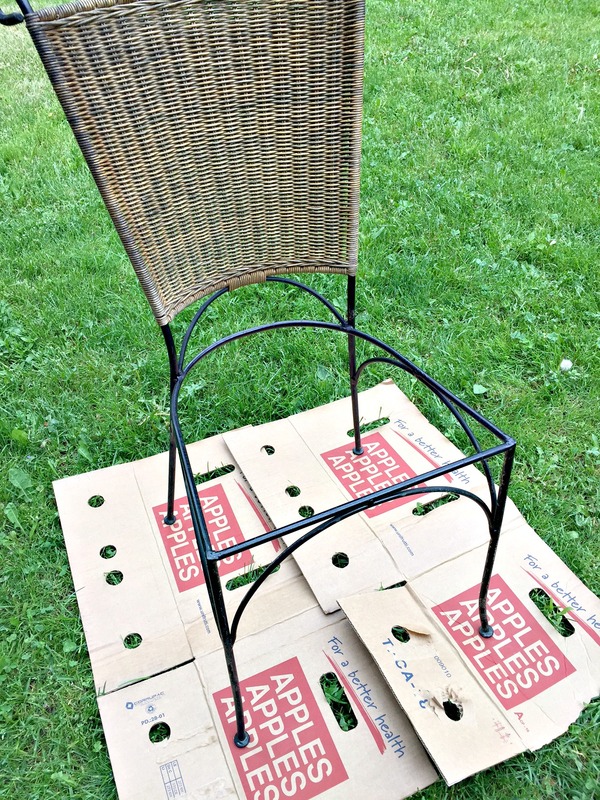 I was in need of a little sitting area in my garden and figured they would be perfect to pair with an old Ikea night table I had lying around. 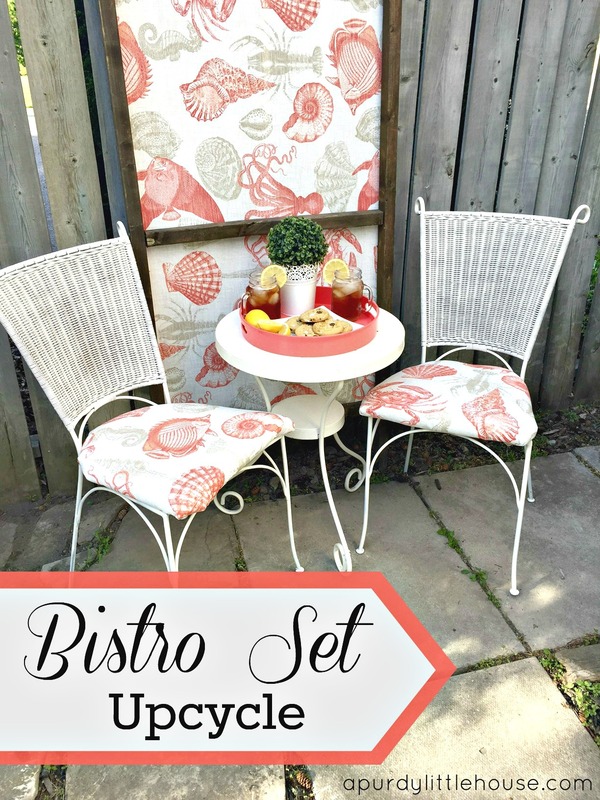 This cute little bistro set upcycle is now one of my favourite places in the garden. 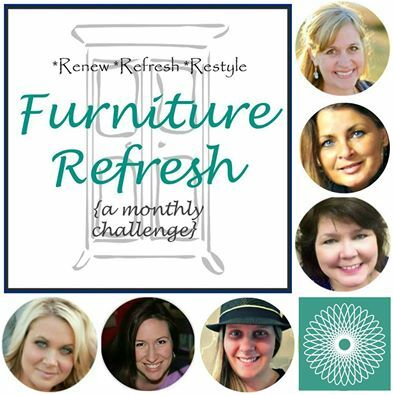 Every month some awesome bloggers and myself team up to complete the *Renew*Refresh*Restyle* furniture upcycle challenge to share and inspire. 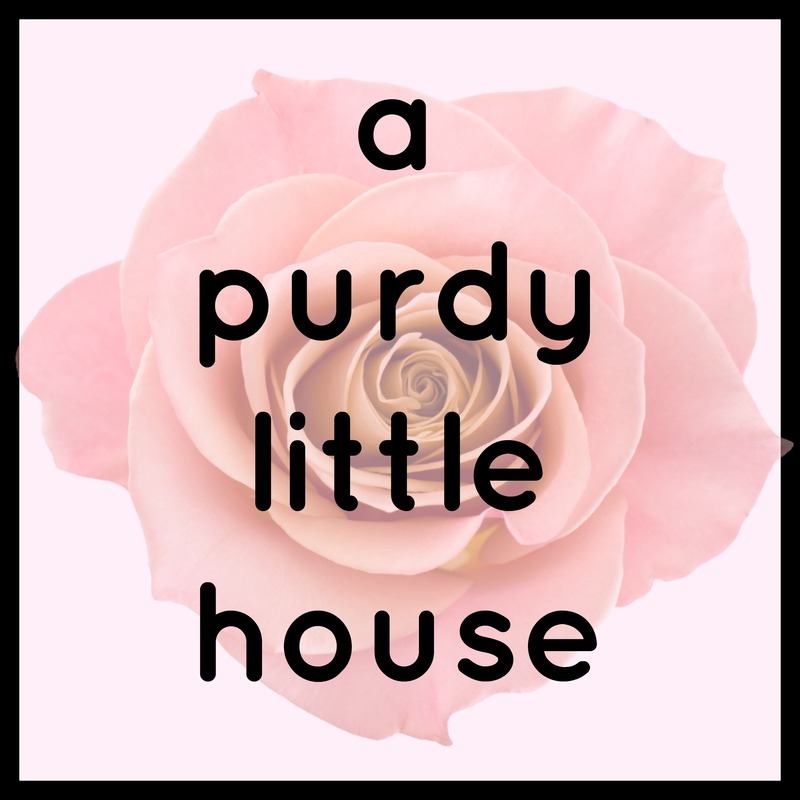 With the Spring now in full swing, I’m so excited to see what everyone has come up with. 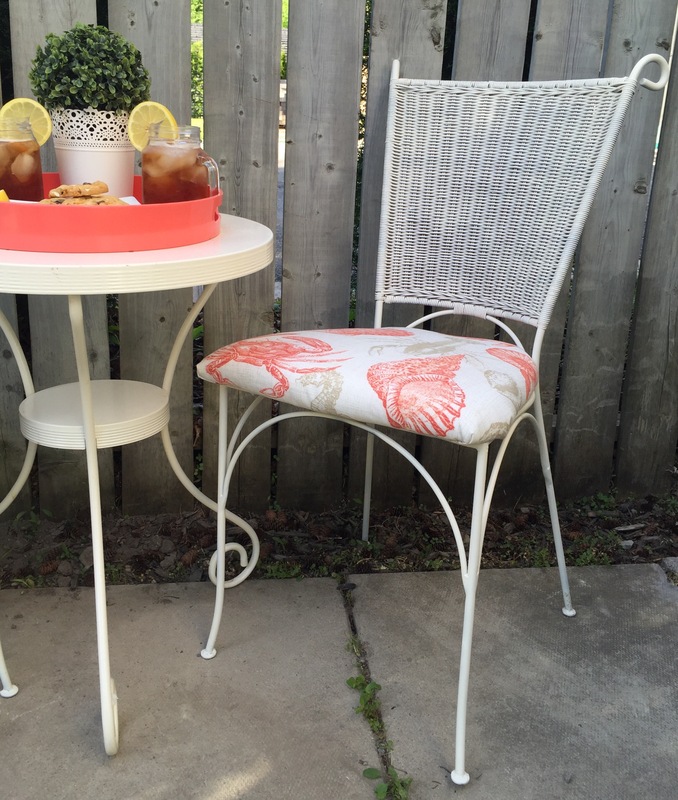 I found these two chairs on the side of the road last fall, and saw the potential instantly. I stored them in my garage all winter and couldn’t wait to get to work on them. 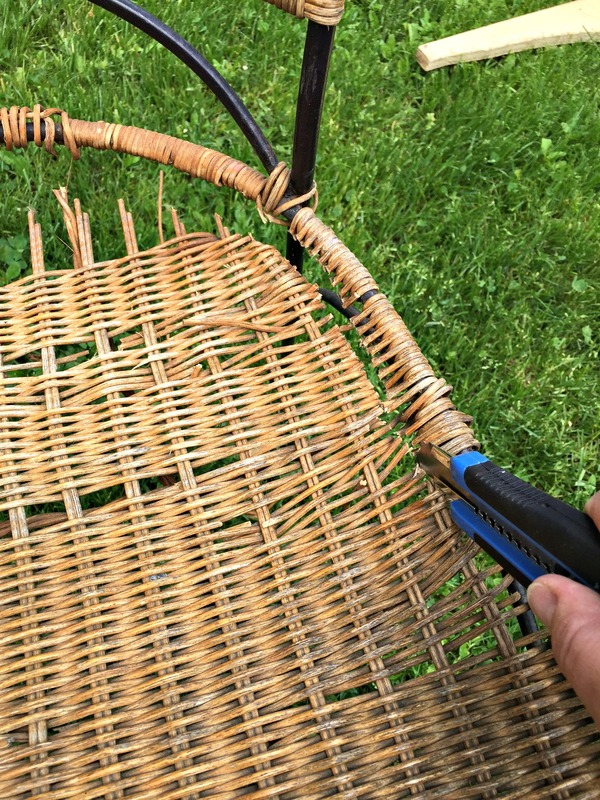 I started by removing the gross old wicker that had definitely seen better days. It was broken on the seat anyhow, so it was fairly easy to remove with an exacto knife. After I cleaned up the wrought iron with some soap and water, the chairs were ready for spray paint. 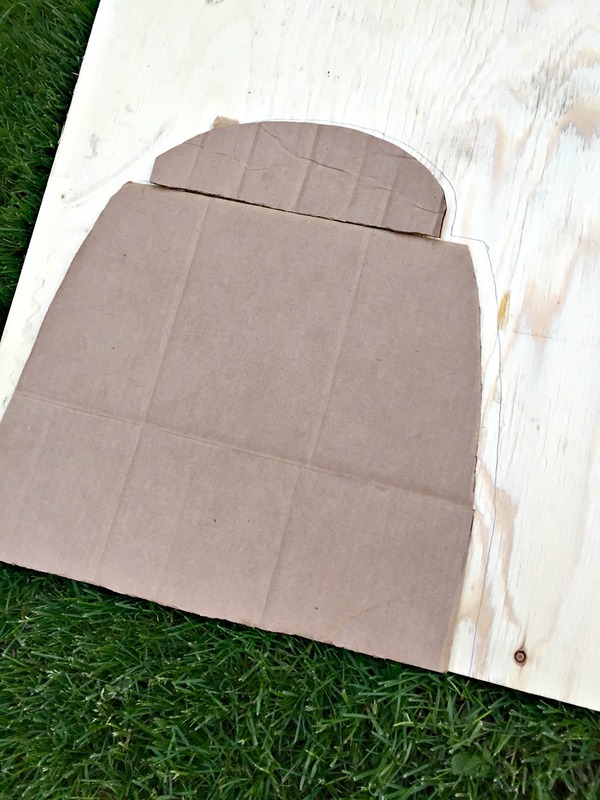 For the seats, I made a template using cardboard and then traced it on to the 1/2 inch board. 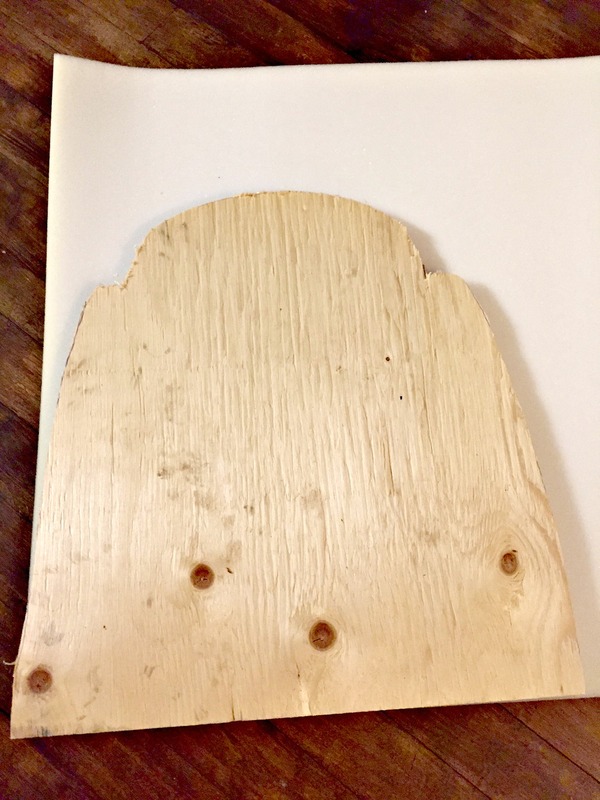 The seat was then cut out using a jig saw. After the seats were cut to size, I traced the shape on to some 1/2 inch foam and cut that out using craft scissors. I then layered some batting over the foam and used a staple gun to secure the fabric in place. 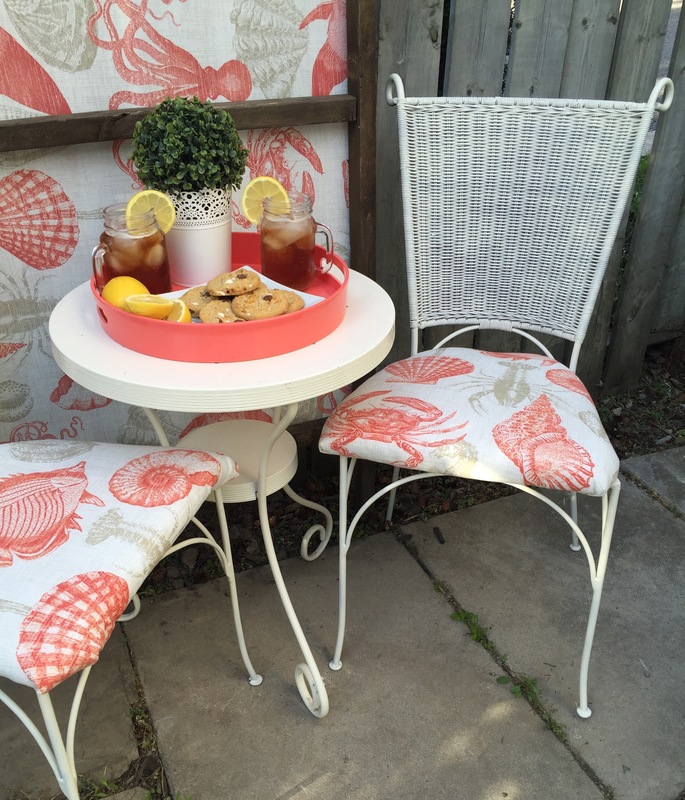 After the seats were added to the chairs, I paired them with an unused night table I had lying around. To secure the seats in place, I glued a 1×3 board underneath tightly to keep the seat from wobbling around. 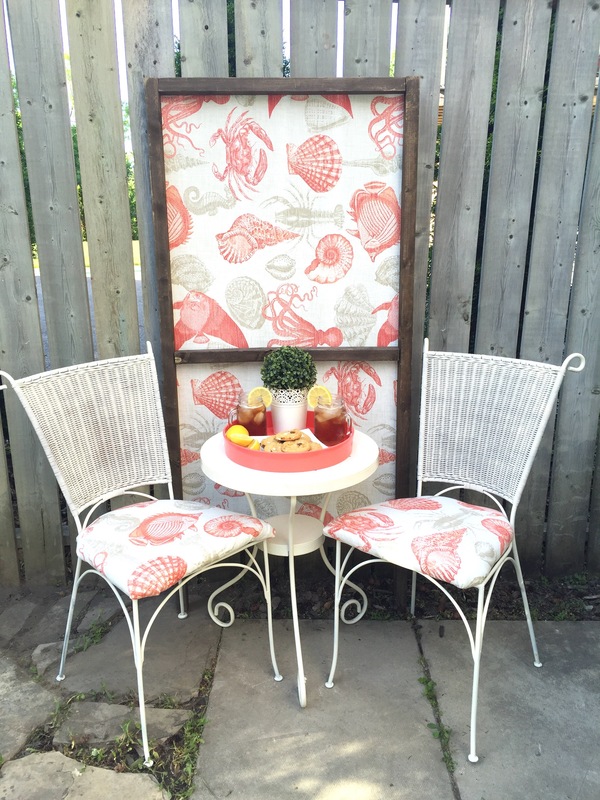 For fun, I added this screen behind the bistro set to add some interest. I know the fabric is sideways. I didn’t have enough to finish is off right side up, but I will get around to that this coming weekend I’m sure. Lol. 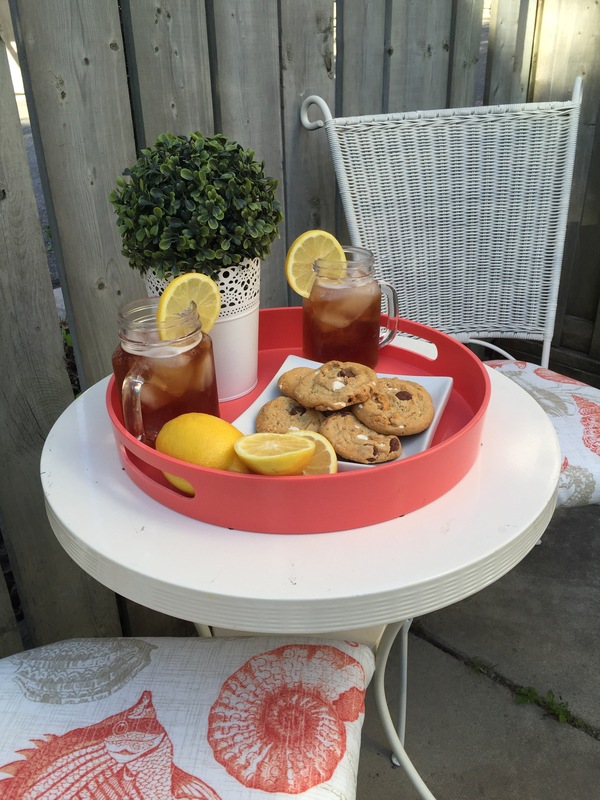 Fancy a sweet tea and cookie anyone? WOW!!! What a fresh look! It’s a perfect summer set up. Love everything you did for this set! Very clever of you to make upholstered seats. You rocked this makeover! Thank you Robin 🙂 It’s a great little spot in the garden now. 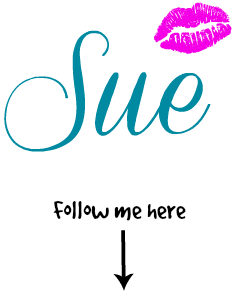 Sue, I am so in love with this update!! I love, love the fabric. Would you mind telling me where you found it? 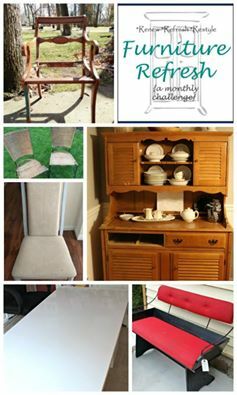 I would love to update a bench I have. The way you staged the set with the door in the back is genius! That is why I love these kinds of parties, so much creativity! Thanks so much Michelle ???? 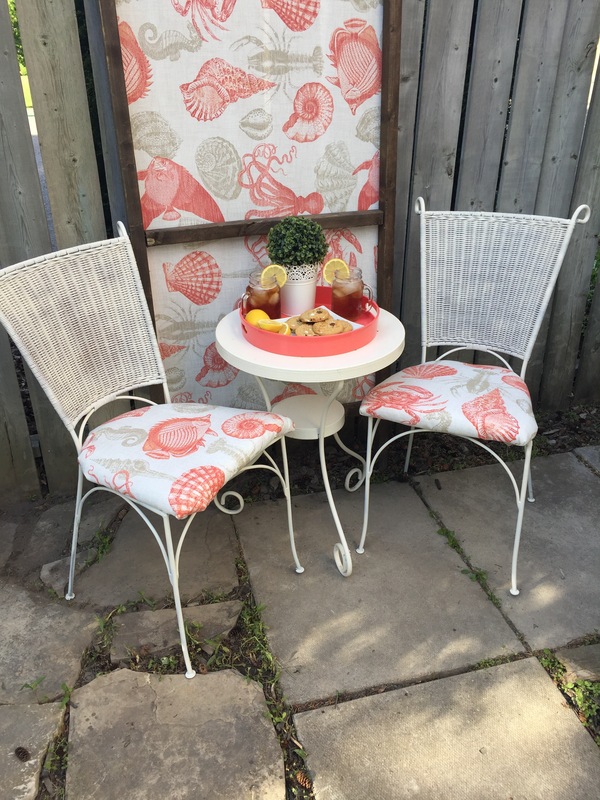 I found the outdoor fabric at Fabricland, which is the go-to fabric store in Canada. Next time I’m there, I can find out the name to see if it can be purchased online. I’m sure it could.